tortilla chips with hummus | what is clara eating today? we use these chips with various dips… we even make bigger strips and take them to restaurants in case clara wants to order crab artichoke dip or pizza. with pizza, i just scoop up the cheese and sauce part and lay it on top of the chip… it actually is pretty good. 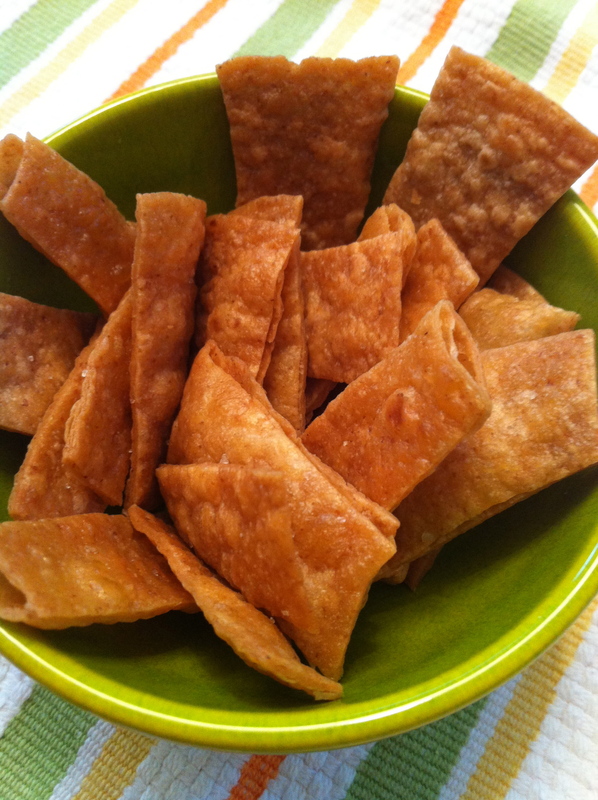 cut tortilla into small strips. drizzle with olive oil an mix well to coat the tortilla. sprinkle sea salt. line parchment paper on baking sheet and payout the tortilla without overlapping. bake in oven at 320 for 8 minutes (or until crisp). the tortilla i use is low carb. two brands i have used are Missions (Carb Balance whole wheat) and Tortilla Factory (Smart & Delicious low carb). I personally like how Missions brand taste much better. I haven’t tried on any gluten free wrap, but i would think it will work great with them. Let me know how it goes! Hi! Did you use the large burrito size carb balance tortilla? i used small fajita size tortilla but they should be the same to use as long as you weigh the tortilla to do your calculations. i just had the small size on hand since i use that to make pizza for clara all the time and each one is 3g of carb.